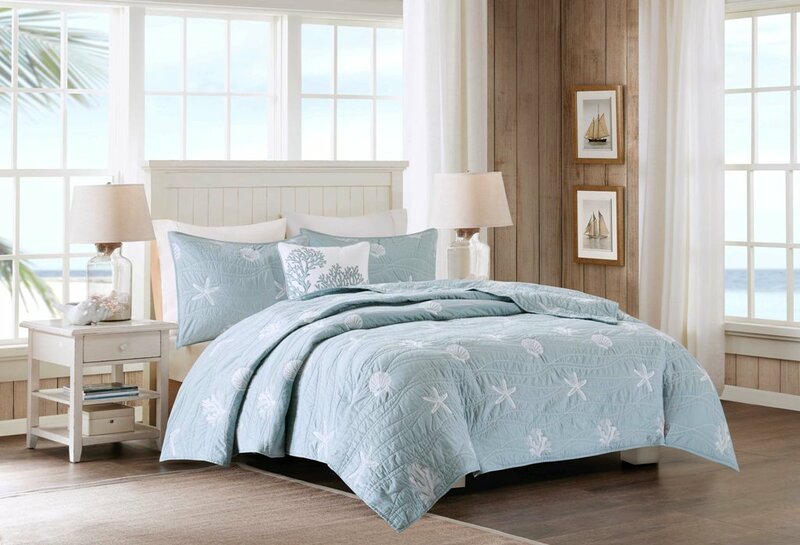 Bring the coastal feel into your bedroom with our Seaside collection. 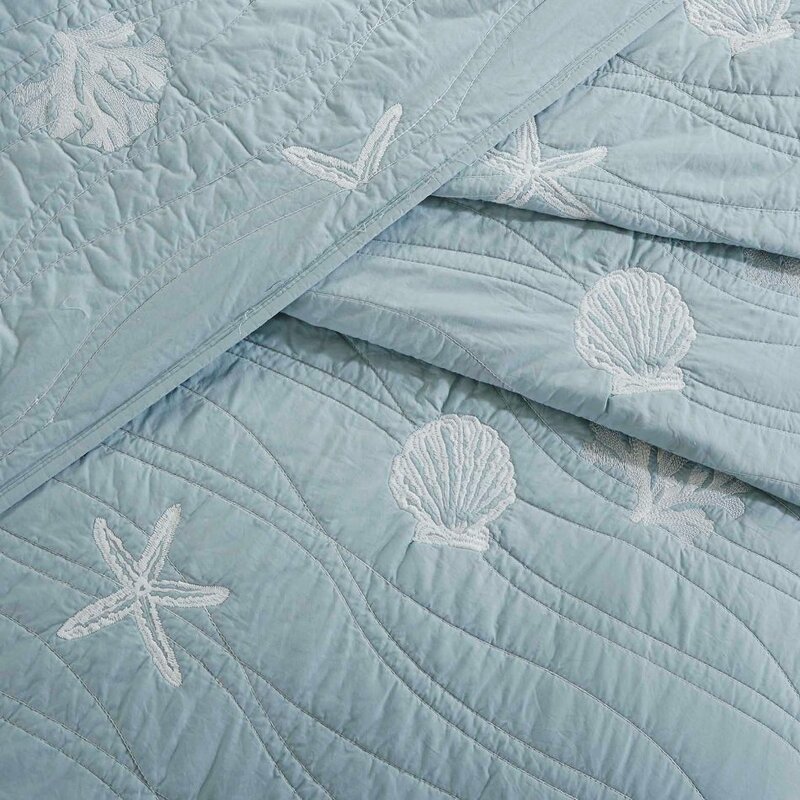 A soft, all-cotton quilt in a soothing ocean blue is adorned with embroidered sea shells & coral, with all-over stitching that resembles rolling waves. 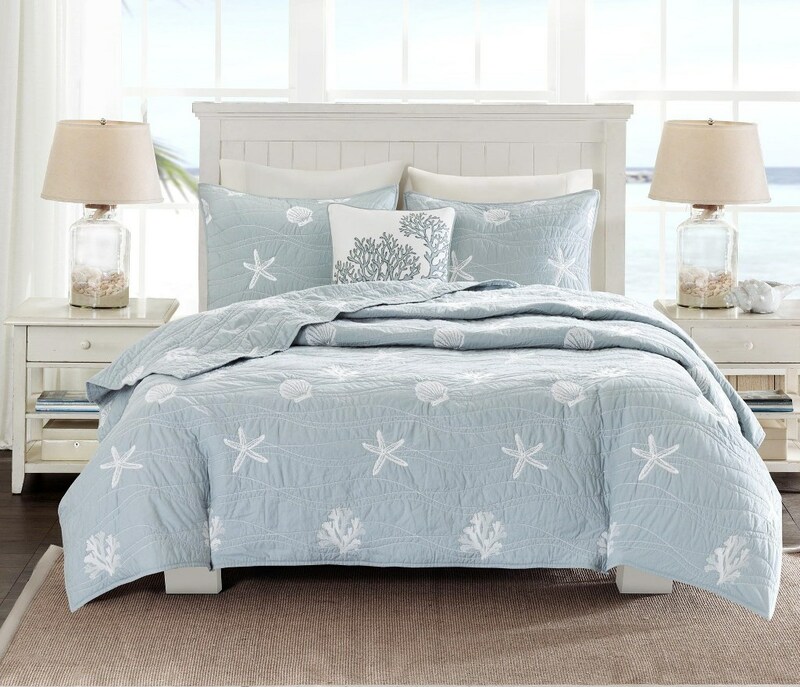 A large pillow with embroidered coral adds a finishing touch.